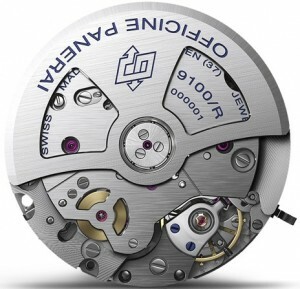 In 1860 Giovanni Panerai opens his watchmaker’s shop and workshop Guido Panerai & Figlio in Florence, Italy. The shop later moves to its current location in Piazza San Giovanni in Rome. 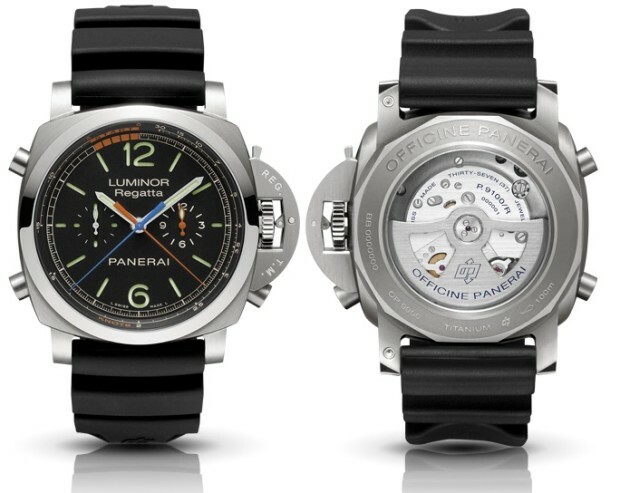 The family Enterprise, later renamed to Officine Panerai, is initially concerned with the production of nautical precision instruments. For a long period many kinds of equipment for the Royal Italian Navy were manufactured. 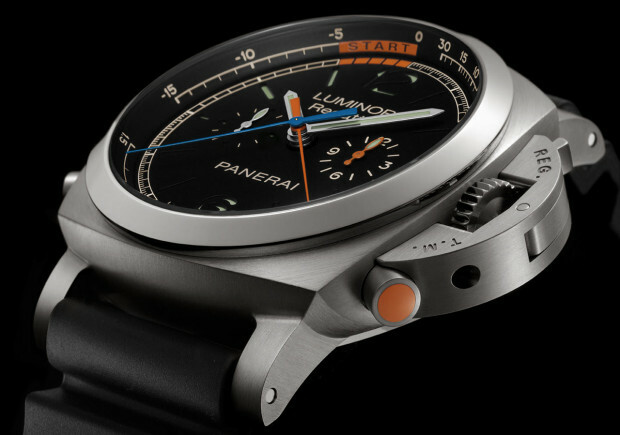 Beginning 2013, at the SIHH (Salon International de la Haute Horlogerie Geneve), Panerai introduced the PAM00526 Luminor 1950 Regatta 3 Days Chrono Flyback Automatic Titanio. This is a flyback chronograph with an automatic movement and a three-day power reserve, fitted with the Regatta countdown function, specifically created for yacht racing starts. Very similar to the PAM00524 and PAM00525 (all three pieces comprise the entirety of the new models in the 2013 ‘Contemporary’ collection) except it comes with a Regatta timing module built on to the automatic P.9100 caliber. The button at 4 o’clock (right below the crown guard) is for the regatta function. It is in orange, as the orange split second hand, the orange sword hand on the hour sub-dial and the orange regatta track. On the outer-ring the watch has the countdown minutes scale, as well a knots scale for measuring the boat speed. 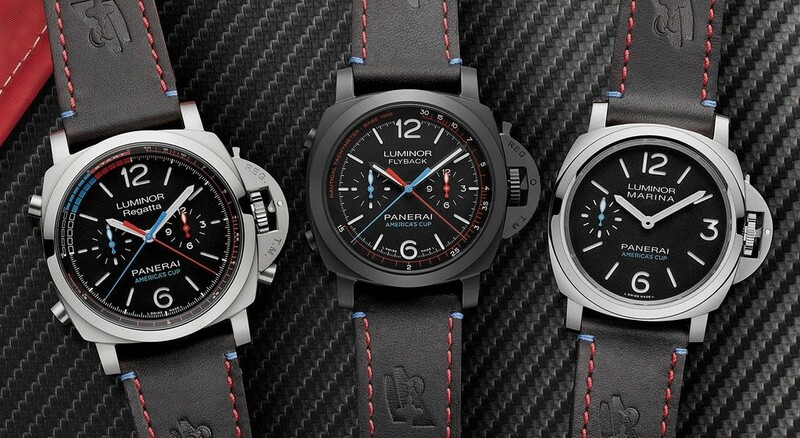 Luminor 1950 Regatta 3 Days Chrono Flyback Automatic Titanio. Model: Panerai Luminor 1950 Regatta 3 Days Chrono Flyback Automatic Titanio. Reference: PAM00526 with brushed titanium case, polished bezel and rubber strap. Caliber: automatic Panerai P.9100/R flyback chronograph. 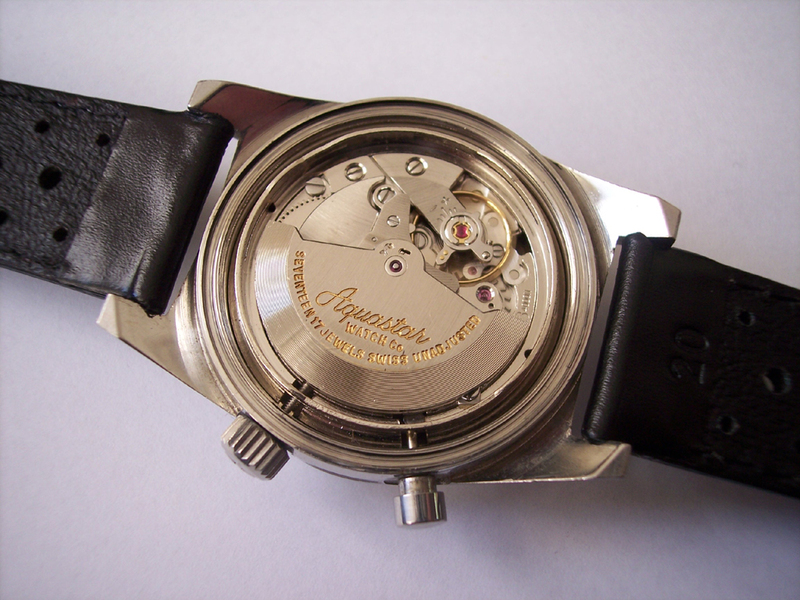 Case size: Ø 47 mm. The orange push-button at 4 o’clock moves the central orange chronograph minute hand back one minute at a time, until it is at the correct position in relation to the length of the countdown. On starting the chronograph, by pushing the chronograph stop/start button at 10 o’clock, the relative hands begin to move, indicating first the minutes and seconds remaining until the start, and then, when the countdown has finished, the time elapsed since the start of the race. The push-button at 8 o’clock ends the time measurement, returning all the chronograph hands to zero. Alternatively, if it is operated while the hands are still moving, it activates the return-to-zero (flyback) function, thus enabling a new time interval to be measured immediately without operating the stop and reset buttons. Size: 13,75″ Ø 31 mm H 9,55 mm. Shock protection system: KIF Parechoc®. Caliber P.9100/R is a further development of the P.9100, with a regatta chronograph function. In 2017 Panerai becomes the new official timekeeper of the 35th America’s Cup, to be sailed on the great Sound of Bermuda. For the event the brand launched not less than five new America’s Cup models. All Limited Editions of 150 – 300 pieces. In addition to being the events timekeeper, Panerai also partnered with two of the competing teams: the defending Oracle Team USA and SoftBank Team Japan, the first cup competitor from Asia in 15 years. One of the Oracle Team USA watches is a special edition of the 2013 launched PAM00526, now referred to as PAM00726 Luminor 1950 Regatta Oracle Team USA 3 Days Chrono Flyback Automatic Titanio, limited to 200 pieces. The dial is even more colourful, with America’s Cup printed in blue at 6 o’clock. The watch comes with a black untreated leather strap with the AC logo on both sides and is stitched with blue and red thread. Like the other two Oracle Team USA editions, it has a solid caseback with a relief engraving of the team’s logo and an illustration of its trimaran boat. 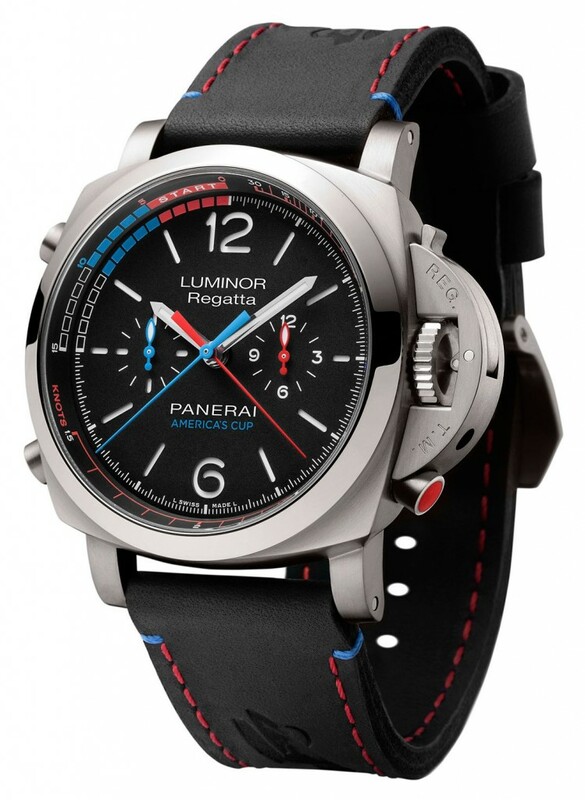 Model: Panerai Luminor 1950 Regatta Oracle Team USA 3 Days Chrono Flyback Automatic Titanio. Reference: PAM00726 with brushed titanium case, polished bezel and leather strap.